Many of these people were being held in prison ahead of their deportation. SOME 780 PEOPLE were detained in Irish prisons over a two year period for immigration related issues, with the majority of them being held prior to their deportation. 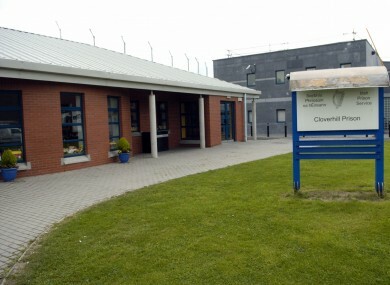 Figures released this week by Minister for Justice and Equality Alan Shatter show most of these people were held at Cloverhill Remand Prison in Dublin. In 2011, 96 women were held at Mountjoy Prison and 87 were detained here in 2012. The data was released in response to a parliamentary question from Donegal TD Thomas Pringle who said the majority of these people are held for three days or less before they are deported. “Looking at the figures, it’s a surprisingly high amount of people being held and the figures are quite consistent each year,” he told TheJournal.ie. The figures on detention show that more men were held in prisons over immigration issues than women and most people were aged between 25 and 40. There are a number of immigration related issues that a person could be held for, including working on a student visa, or with no visa and staying longer than a visa allows. Pringle was highly critical of the immigration system here, particularly in relation to asylum seekers. While new immigration legislation, due to be introduced, may mean numbers increase as more people are deported each year, Pringle said that it would be “more humane” to do this after six months than make people wait in direct provision accommodation for years, as is the case for many. I know of people who have been in direct provision for ten years at this stage. It’s detrimental to their mental health and these are people who would be anxious to contribute to society and work here. Pringle accused Shatter’s department of “dragging their heels” on the new immigration bill which is designed to fast-track the system to prevent situations where people are living in what the TD described as “open prisons” for years without any indication of when their application will be processed. Ireland’s direct provision system has been harshly criticised by human rights groups in the country and abroad and even our own Ombudsman last year said our treatment of asylum seekers is “unacceptable”. However Minister Shatter has made it clear that he has no plans to end direct provision, though he did express concern last year at the length of time people spend in the system. “The new immigration policy would provide for people to work legally here as well – but I wouldn’t hold my breath with this government,” Pringle said. Email “Hundreds detained in Irish prisons each year over immigration issues”. Feedback on “Hundreds detained in Irish prisons each year over immigration issues”.